You can upload your logo image in the H&D Theme Options. If the logo is not uploaded, then H&D logo will be used. Step 2 – Go to Appearance > Theme Options > Main Navigation. 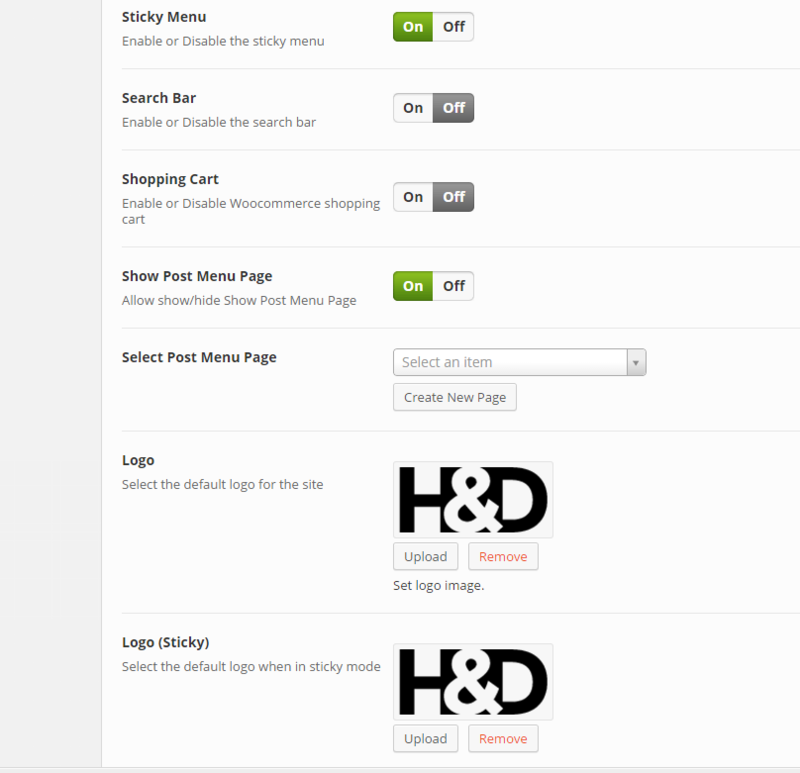 H&D has distinct feature that allow you to upload different logo images between homepage and the rest of all pages. And if your Sticky Menu option is active, you are able to set two different logo images, which will be set on default navigation bar and sticky navigation bar.